To celebrate Monster Hunter: World's first birthday, Capcom is throwing a big ol' in-game anniversary festival now through February 21. Like World's previous festivals, the Appreciation Fest is filled with new limited-time quests and many older event quests. There are dozens of quests altogether, but some are definitely more valuable than others. The highlight of the new quests is The Greatest Jagras, which features a giant, souped-up version of World's first and most-hunted monster, Great Jagras. It drops tons of decorations as you fight it, and killing it gets you the tickets needed to craft the Skull Mask and Kulu-Ya-Ku Mask layered armor, which can be worn as a cosmetic over your actual armor. It's worth farming the Greatest Jagras for the decorations alone, and you'll also get a good amount of hard armor spheres in the process. Speaking of farming: if you want to augment your gear and you're hurting for streamstones, queue up the quest Relish the Moment and hunt some tempered Deviljhos. If you want to boost your hunter rank - The Greatest Jagras requires HR 50, for instance - try the quest Snow & Cherry Blossoms, which awards double HR points. 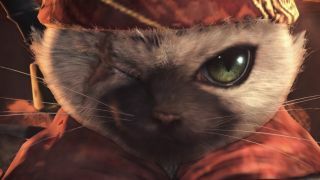 With the Iceborne expansion and Master Rank gear on the horizon, most players are trying to polish off their quest book and build the best loadouts they can to prepare for the icy new frontier. The best armor in the game - at least for melee weapons - is the Drachen armor awarded from fighting Behemoth, who can be fought at any time. Standard gear aside, the best weapons in the game come from Kulve Taroth, the quest for which, Banquet in the Earthen Hall, is available on all platforms as part of the Appreciation Fest. (Hunting Kulve Taroth will also get you the Bushi layered armor.) So if you're just looking to gear up, you should start there. That said, there are a few other pieces of worthwhile gear tied to event quests. For example, the quest Every Hunter's Dream will get you the Wyvern Ignition greatsword, which is top-class. The quest Code Red gets you the Dante armor set - that's Devil May Cry's Dante, and yes, it makes you look like him - which comes with some great skills and works well when paired with Drachen armor. You may also want to make the Azure Starlord armor by completing the quest USJ Blazing Azure Stars - it looks great and some of its pieces can hold their own. Monster Hunter World players are due for a very special event quest featuring Geralt from The Witcher later this year.